Pre-release coverage of the original Star Wars continues to be a fun niche to collect. A colleague recently gave me a copy of the April 1977 issue of American Film which features Star Wars on the cover and leads off with a profile of George Lucas and his “$8 million animated comic strip.” Written by film critic Stephen Zito, the article’s title and graphic are completely 70s and its content centers around an interview Zito conducted with Lucas “at a local hamburger place in Van Nuys” as the film was nearing completion. Zito – who would later go on to describe the film’s plot as “rudimentary” and its performances as “one-dimensional,” though in total “almost continually funny and exciting, sometimes both at the same time” in his July 1977 review in The Washingtonian – intimately captures Lucas’ anxious/ambitious personality and filmmaking struggles on the eve of Star Wars taking over the world. There are a number of notable quotes from Lucas and characterizations of what the film was going to be that I’ll include here. For the rest, it’s worth picking up the issue and perusing. 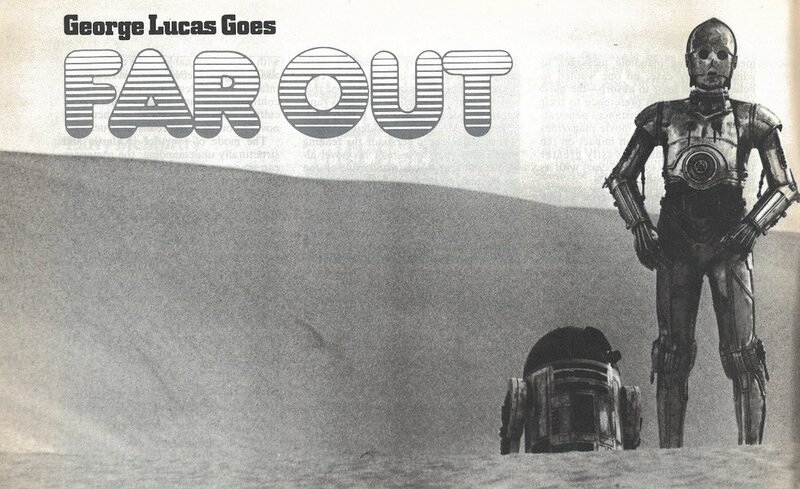 On the film as pastiche, Lucas states that it’s “not like one kind of ice cream but rather a very big sundae." Furthermore, he asserts that Star Wars “is on the same intensity level as a Roger Corman movie only a hundred times bigger." I’d like to think of the movie as a supercharged, enormous ice cream sundae from now on. It makes quite a bit of sense. It’s also interesting to read comparisons between forthcoming Star Wars sequences and those from previous landmark films. Zito defines the Death Star finale as “a savage air battle above the gray surface of a killer satellite," and according to John Dykstra, it was “going to be as exciting as the car chase in The French Connection." Reminder: this lament dates prior to Star Wars ever hitting the screen and the public’s eyes /ears. 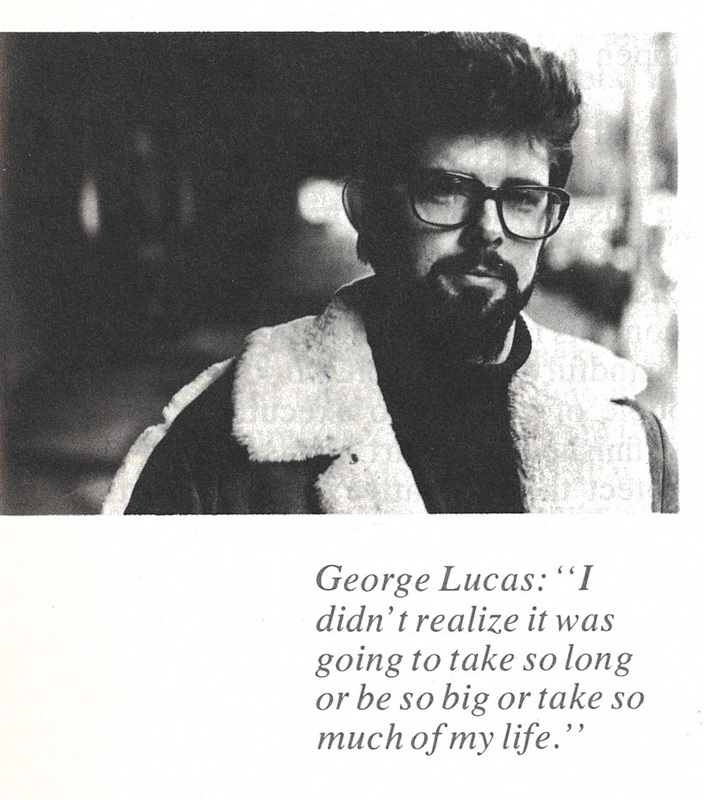 Poor George. The article notes that over 340,000 feet of live action footage was shot, and not without troubles. Lucas’ personal stake and sense of responsibility is best represented here: "Whenever there is a leak in the dam, I have to stick MY finger in it. I should learn to say, 'Somebody else go plug that up.'" Whether he ever truly learned to do that, I’m not sure. Zito closes the piece by pondering as many in the film industry did: “The only question left about Star Wars is an old one, frequently asked since the Wright Brothers took their contraption to Kitty Hawk: 'But will it fly?'"